Adding posts to a Jekyll blog has been a tough thing to do. But with JekLog everything is going to be easy. With JekLog we can easily create blogs and write posts for our easily. The content will be transferred directly to the files on the GitHub and the changes can be seen by everywhere in the world. I am back with another post. 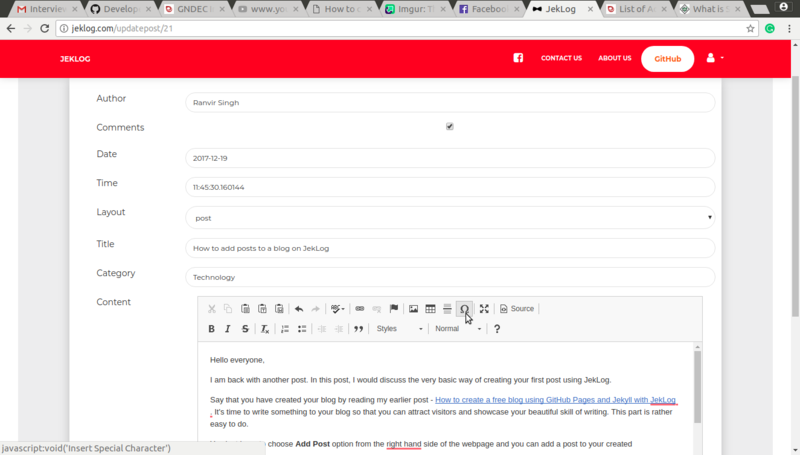 In this post, I would discuss the very basic way of creating your first post using JekLog. Say that you have created your blog by reading my earlier post - How to create a free blog using GitHub Pages and Jekyll with JekLog . It’s time to write something to your blog so that you can attract visitors and showcase your beautiful skill of writing. This part is rather easy to do. You just have to choose __Add Post __option from the right-hand side of the webpage and you can add a post to your created repository/blog. 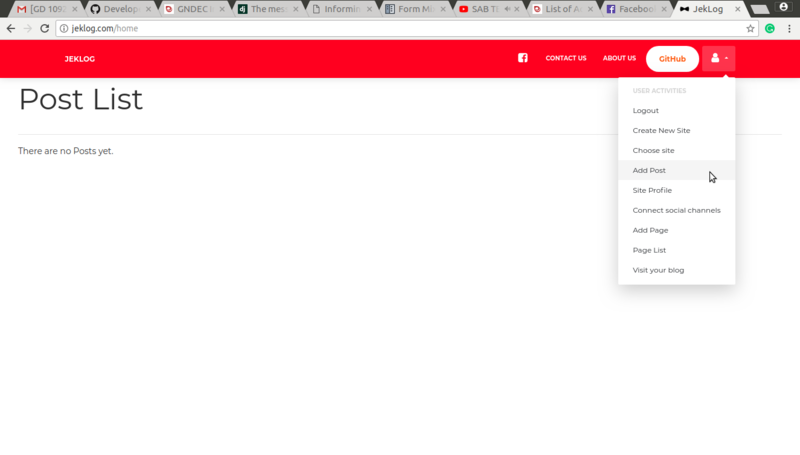 Now that you have reached the add post column, you can start writing your posts directly. After the completion, you can submit the form. This will create a blog post on your blog. You can check it by clicking on Visit my blog button.